(*) The Council of Chalcedon sat in the cathedral consecrated in the name of the Great-martyr St. Euphemia (+ ca. 307 ad). Present at the council were 630 representatives from all the local Christian Churches. Both the Monophysite and Orthodox parties were well-represented at the council, so the meetings were quite contentious, and no decisive consensus could be reached. Patriarch Anatolius of Constantinople suggested that the council submit the decision to the Holy Spirit, acting through Saint Euphemia. Both parties wrote a confession of their faith and placed them in the tomb of the saint Euphemia which was sealed in the presence of the emperor Marcian (450-457), who placed the imperial seal on it and set a guard to watch over it for three days. During these days both sides fasted and prayed. After three days the tomb was opened and the scroll with the Orthodox confession was seen in the right hand of St Euphemia while the scroll of the Monophysites lay at her feet. The “monophysite” position consisted essentially in a sort of “Cyrillian fundamentalism” which allowed no compromise at all. The Chalcedonian orthodox camp was making major terminological concessions and clarifications: the antichalcedonians were making none. Even the great Severus of Antioch, who saw the dangers of unabashed Monophysitism and understood the importance of affirming the full reality of Christ’s manhood, stopped short from accepting “two natures after the union”. Several individual leaders of Monophysitism eventually accepted Chalcedon, but they were disavowed by their flocks. [T]he lack of recognition by the so-called Anti-Chalcedonians of the Fourth, Fifth and Sixth Ecumenical Councils, and the theory of some Orthodox theologians of Neo-Chalcedonianism, in essence have a common denominator and cannot be accepted by the Orthodox Church. St. Maximus the Confessor, who organized this synod presided over by Pope St. Martin, referred to the Lateran Council of 649 as the “sixth synod, which through the divine inspiration of God set forth with all pure piety the doctrines of the holy Fathers”. Although Pope St. Martin and St. Maximus were abducted after the council by Emperor Constans II and tried in Constantinople for their role in the council (Martin being replaced as pope before his death in exile and Maximus having his tongue and right hand cut off), their position was ultimately endorsed by the Sixth Ecumenical Council in 680. To them who reject the teachings which were pronounced for the establishment of the true doctrines of the Church of God by the Holy Fathers Athanasios, Cyril, Ambrose, Amphilochios the God-proclaiming, Leo the most holy Archbishop of Old Rome, and by all the others, and furthermore, who do not embrace the Acts of the Ecumenical Councils, especially those of the Fourth, I say, and of the Sixth, ANATHEMA! ANATHEMA! ANATHEMA….To Peter the Fuller and insane, who says, ‘Holy Immortal Who was crucified for us,’ ANATHEMA! ANATHEMA! ANATHEMA… To Peter the Paltry, the heretic, who was surnamed Lycopetrus, or ‘the Wolf,’ to the evil-minded Eutychius and Sabellios, ANATHEMA! ANATHEMA! ANATHEMA!. To James Stanstalus the Armenian, to Dioscorus the Patriarch of Alexandria, to the godless Severus, as well as to the like-minded Sergius, Paul and Pyrrus, and to Sergius, the disciple of Lycopetrus… ANATHEMA! ANATHEMA! ANATHEMA! To all the Eutychians and Monothelites and Jacobites and Artzibourziter, and simply all heretics,…ANATHEMA! ANATHEMA! ANATHEMA! What could be harder to bear than this blasphemy of Dioscorus? For in denying that the blood of Christ is of the same essence as human nature, it is discovered that he does not confess the flesh of our Lord to be of the same essence as we, and he nullifies the salvation of man because he says that [the Logos’] body is of the same essence as the Logos’ divinity. …[W]e declare that the addition which the vain-minded Peter the Fuller made to the Trisagium or Thrice Holy Hymn is blasphemous; for it introduces a fourth person into the Trinity, giving a separate place to the Son of God, Who is the truly subsisting power of the Father, and a separate place to Him Who was crucified as though He were different from the Mighty One, or as though the Holy Trinity was considered passible, and the Father and the Holy Spirit suffered on the Cross along with the Son. Have done with this blasphemous and nonsensical interpolation! For we hold the words Holy God to refer to the Father, without limiting the title of divinity to Him alone, but acknowledging also as God the Son and the Holy Spirit: and the words Holy and Mighty we ascribe to the Son, without stripping the Father and the Holy Spirit of might: and the words Holy and Immortal we attribute to the Holy Spirit, without depriving the Father and the Son of immortality. For, indeed, we apply all the divine names simply and unconditionally to each of the subsistences in imitation of the divine Apostle’s words. But to us there is but one God, the Father, of Whom are all things, and we in Him: and one Lord Jesus Christ by Whom are all things, and we by Him 1 Cor. 8:5. And, nevertheless, we follow Gregory the Theologian when he says, But to us there is but one God, the Father, of Whom are all things, and one Lord Jesus Christ, through Whom are all things, and one Holy Spirit, in Whom are all things: for the words of Whom and through Whom and in Whom do not divide the natures (for neither the prepositions nor the order of the names could ever be changed), but they characterise the properties of one unconfused nature. And this becomes clear from the fact that they are once more gathered into one, if only one reads with care these words of the same Apostle, Of Him and through Him and in Him are all things: to Him be the glory for ever and ever. Amen Rom. 11:36. Holy Saints Euphemia, Cyril, Leo, Sophronius and Maximus, pray for us! 449: Dioscoros presides over the Robber Synod and exonerates Eutyches, and deposes St. Flavian (who is beaten to death and replaced by an Alexandrian), and condemns all who accept the Agreements and anathematizes all who confess two natures [Fr. Geoges Florovsky, The Byzantine Fathers of the Fifth Century (Thessaloniki:1992), p 470; referenced in The Non-Chalcedonian Heretics, p. 13]. “Cyril… having excellently articulated the wise proclamation of Orthodoxy, showed himself to be fickle and is to be censured for teaching contrary doctrine: after previously proposing that we should speak of one nature of God the Word, he destroyed the dogma that he had formulated and is caught professing two Natures of Christ” [Timothy Ailouros, “Epistles to Kalonymos,” Patrologia Graeca, Vol LXXXVI, Col. 276; quoted in The Non Chalcedonian Heretics, p. 13]. “The formulae used by the Holy Fathers concerning two Natures united in Christ should be set aside, even if they be Cyril’s” [Patrologia Graeca, Vol. LXXXIX, Col. 103D. Saint Anastasios of Sinai preserves this quote of Severos in his works; quoted in The Non-Chalcedonian Heretics, p. 12]. Anba Gregorius, who is considered to be one of the most accredited Coptic scholars in the 20th century, and the teacher of the patriarch Shenouda, rejects St. Leo’s distinction between the two natures even after acknowledging unity. Moreover, he states clearly that the Coptic Church condemns the Chalcedonian church’s confessing that Christ is a perfect God and perfect Man. Gregorius goes still further by asserting that, “ I before God I reject the term Double Consubstantiality if it means the duality of essences[…] we admit that these essences after unity became one.” Meanwhile, Romanides’ whole argument for supporting the orthodoxy of Copts is their alleged acceptance of the duality of essences, since they distinguish between nature and essence. This doesn’t fit with Gregorius’ own definition here. Metropolitan Bishoy, the General Co-secretary of the Joint-Committee of the Dialogue, showed a clear rejection of Orthodox Christology. In his paper presented to the 3rd meeting between the Russian Orthodox Church and Oriental Churches in Lebanon, he declared that they refuse considering Chalcedon to be an Ecumenical Council. Furthermore, he tied accepting the acceptance of Chalcedon’s ecumenicity with the acceptance of the Robber Synod of Ephesus in 449 by the Orthodox Church! “The Four later Councils of the Orthodox” says Bishoy, “can be considered as local Councils concerning their Family of Churches.The same applies to the Second Council at Ephesus 449 AD which the Oriental Orthodox did not oblige any Church to accept as an Ecumenical Council although it was a great defence against the propagation of Nestorianism and was defended by St. Severus of Antioch.”. Bishoy of Damietta, The Council of Chalcedon 451 AD. The Third Meeting of The Joint Commission for the Relations Between the Russian Orthodox Church and Oriental Orthodox Churches in the Middle East December 12-16, 2005The Catholicosate of The Great House of Cilicia Antelias, Lebanon. The quote supposedly by Timothy Aelurus has long been rejected by scholars as not being his at all, and it is odd that the one quotation from Severus of Antioch is not from any of his voluminous works which are all available, but is provided by one who takes a polemical view. Have you read any of the authentic works of Timothy Aelurus, or Severus, or even Dioscorus. I am sure that you would hesitate to promote this article if you were aware how deeply flawed it is, and how much filled with a rather scandalous ignorance of the teachings of those you criticise. You are free to believe as you choose, but if you base your belief on ignorance, misrepresentation and polemics then it is based on a lie. At Classical Christianity we ultimately base our belief on the Seven Ecumenical Councils and not a quote which may or may not belong to Timothy or Severus. Thanks for taking the time to comment. Why did Chalcedon read the letter of Ibas and declare it most Orthodox, and then Constantinople declare it obvious blasphemy? Why did Chalcedon over turn the condemnation of Ibas (he was busy translating the heretical works of Theodore of Mopsuestia into Syrian for distribution in his see), and then be be condemned again at Constantinople? Why did Chalcedon choose to use the Nestorian language of Theodore, while rejecting the language of St Cyril? Since Dioscorus was not condemned at Chalcedon for any heresy, and how could he be, why was he then condemned as one a hundred years later? Why was Nestorius invited to attend Chalcedon, but was unable to as he died before he could set out? There are lots of questions about Chalcedon which are not raised in your articles. Their heterodoxy is evident, and so is our modern rebellion. The previous two generations, more than any others, have believed themselves to be greater than the Fathers. The height of arrogance. Lord have mercy. Thank you Fr., for showing us how “heretical” Chalcedon is. For all those who agree with the Miaphysites look and see how they calumniate the Fathers of the Fourth Council. Modernists – those who have embraced modern philosophical concepts of reality – always believe that unity reduces to “agreement”. The mystical Body of Christ is a theanthropic assembly who’s life is far more than doctrinal ideas, and propositions. One cannot merely claim to be in ideological agreement and expect that agreement to suffice as true membership in the one Body. That one body is a living family, and like every other family who knows their own, they don’t let strangers in their doors merely because they agree with the family motto. There’s more to Orthodoxy than orthodoxy, and there is more to unity than doctrinal agreement. Chalcedon was not merely a setting forth of orthodoxy, but it was, in itself, an orthopraxy of the Church. It is good to agree, but it is better to repent and perform works worthy of repentance. (Canon 7) If anyone using the expression, “in two natures,” does not confess that our one Lord Jesus Christ has been revealed in the divinity and in the humanity, so as to designate by that expression a difference of the natures of which an ineffable union is unconfusedly made, [a union] in which neither the nature of the Word was changed into that of the flesh, nor that of the flesh into that of the Word, for each remained that it was by nature, the union being hypostatic; but shall take the expression with regard to the mystery of Christ in a sense so as to divide the parties, or recognising the two natures in the only Lord Jesus, God the Word made man, does not content himself with taking in a theoretical manner the difference of the natures which compose him, which difference is not destroyed by the union between them, for one is composed of the two and the two are in one, but shall make use of the number [two] to divide the natures or to make of them Persons properly so called: let him be anathema. (Canon 8) If anyone uses the expression “of two natures,” confessing that a union was made of the Godhead and of the humanity, or the expression “the one nature made flesh of God the Word,” and shall not so understand those expressions as the holy Fathers have taught, to wit: that of the divine and human nature there was made an hypostatic union, whereof is one Christ; but from these expressions shall try to introduce one nature or substance [made by a mixture] of the Godhead and manhood of Christ; let him be anathema. Dr. Jeffrey Macdonald in his mp3s on Orthodox history states that the Church allows “of two natures” AND “in two natures” if understood correctly BUT disallows them if understood in a perverse manner. Canon 5. If anyone does not properly and truly confess according to the holy Fathers one incarnate nature of God the Word, in this way, that our substance is called incarnate perfectly in Christ God and without diminution, provided substance is signified without sin, let him be condemned. Canon 6. If anyone does not properly and truly confess according to the holy Fathers, that from two and in two natures substantially united unconfusedly and undividedly there is one and the same Lord and God, Jesus Christ, let him be condemned. Fr. Romanides went a long way to explain to them about Chalcedon, too far in my opinion, and yet we still have to hear these 1500 year old accusations yet again? Brilliant Adam. Thanks for your input! Look forward to more future posts on your blog. I find it shocking that this far on the side of Chalcedon that anyone could argue against it? What is it that people think that the Fathers got it wrong? St. Cyril’s words are not hard to understand and if read carefully do not walk both sides of the fence. Truth is, to believe differently than what the fathers already have determined is to be an outright heretic! …while Christ is a single, undivided person, He is not only from two natures but in two natures. The bishops acclaimed the Tome of St. Leo the Great, Pope of Rome (died 461), in which the distinction between the two natures is clearly stated, although the unity of Christ’s person is also emphasized. In their proclamation of faith they stated their belief in ‘one and the same son, perfect in Godhead and perfect in humanity, truly God and truly human… acknowledged in two natures unconfusedly, unchangeably, indivisibly, inseparably; the difference between the natures is in no way removed because of the union, but rather the peculiar property of each nature is preserved, and both combine in one person and in one hypostasis. The imperial commission of eighteen commanded by the emperor to draw up a conciliar draft statement, was instructed to affirm the enduring identity of the ‘two natures’. The bishops would accept this, however, only on the basis of the strictest qualifications and safeguards (such as those agreed by Cyril himself in the Succensus letters). The adverbs of Cyril they had in mind were that the two natures endured in the one Christ: unchangeably (atreptos), undividedly (ameristos), and unconfusedly(asynchtos)…in fact, Leo’s attribution of separate actions to natures had been decidedly dropped, and his terms only inserted as one key sentence: the phrase ‘the property of each nature being preserved and concurring in one prosopon’. To have supplied, in substance, three of the four so-called ‘Chalcedonian adverbs’ already, and with the fourth missing adverbs emphasizing Cyril’s basic point of the inseparability of the natures, is hardly, on anyone’s terms, a ‘triumph’ of western and Antichene christology. …the verbal form which drives that whole central clause containing four adverbs qualifying ‘in two natures’. It is none other ‘gnorizomenon’: ‘made known (to the intellect) in two natures’. 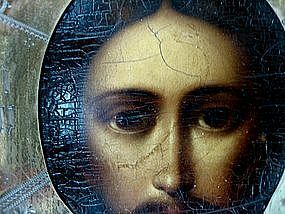 It does not simply teach ‘Christ is in two natures’ as the Antiochian system had suggested. Those who do not recognize the importance of the difference are those who have not followed the whole fifth century christological debate, but this certainly did not include the bishops present at Chalcedon. And so, the Chalcedonian decree, at this critical juncture, is clearly, and deliberately, a profession of Cyril’s understanding of the union and, again, largely on his terms. The ‘made known’ of Chalcedon is substantially the ‘notional scrutiny'(oson men heken eis ennoian) of Cyril’s First Letter to Succensus. Even when Cyril’s terminology was felt to be in need of correction, or clarification, whether to placate the West, or to exclude a Eutyches or a Dioscorus, it was instinctively to Cyril that they turned to supply the correction. We at Classical Christianity would love to have all Christians (and non-Christians too!) united in one Church, reciting the Nicene-Constantinopolitan Creed in it’s original form and accepting the dogmas of the Seven Councils in communion with canonical bishops. thats what it seemed to say to me. welcome to the slippery slope of ecumenism. now RAS is endorsing an article that proclaims we are the same as the Nestorian community and the Papist community, etc. Quite a drastic difference from St. Justin Popovich who said that the Papacy is one of the great falls of man. and to pick out the Anglo-Catholic part of the Anglican Church and to leave the rest, as if that makes even the slightest bit of sense ecclesiologically (same goes for those who pick out the Uniates as somehow the same as us but NOT the Latin Rite, as if that makes even the slightest bit of sense …). this is absurdity. Here is an answer to yet another misrepresention pertaining to the anathemas of the Church. Met. Philaret (ROCOR): The Holy Orthodox Church is the repository of the divinely revealed Truth in all its fullness and fidelity to apostolic Tradition. Hence, he who leaves the Church, who intentionally and consciously falls away from it, joins the ranks of its opponents and becomes a renegade as regards apostolic Tradition. The Church dreadfully anathematized such renegades, in accordance with the words of the Saviour Himself (Matt. 18:17) and of the Apostle Paul (Gal. 1:8-9), threatening them with eternal damnation and calling them to return to the Orthodox fold. It is self evident, however, that sincere Christians who are Roman Catholics, or Lutherans, or members, of other non-Orthodox confessions, cannot be termed renegades or heretics—i.e. those who knowingly pervert the truth…They have been born and raised and are living according to the creed which they have inherited, just as do the majority of you who are Orthodox; in their lives there has not been a moment of personal and conscious renunciation of Orthodoxy. The Lord, “Who will have all men to be saved” (I Tim. 2:4) and “Who enlightens every man born into the world” (Jn. 1.43), undoubtedly is leading them also towards salvation In His own way. We believe the foregoing answer by the saintly ascetic to be the best that can be given in this matter. Here’s more interesting Non-Chalcedonian history pertaining to the Jacob Baradeus and the Armenian Church. It seems as though the Armenians condemned Severos of Antioch at least at one time. I wonder if this canon is still authoritative. I also think they are actually referring to the Syrian Jacobites instead of the “Assyrians” who are extreme dyophysites. At this council some dogmatic questions were discussed which had been raised in the Assyrian Church, and led to divergence. The famous Armenian Theologian Translator Khosrovik took part in this Council. The goal of this council was to amend the divergences that had occurred between the two churches concerning the purity of the Savior’s body. The Assyrians accused the Armenians of following the teaching of Julian of Halicarnassus and the Armenians in their turn accused the Assyrians of following the teachings of Severus of Antioch. The Council established 10 anathemas which refuted the teachings of Julian of Halicarnas and Severus of Antioch and their followers and reestablished the orthodox teaching of the Holy Trinity. As a result an alliance was created between the Armenian and Assyrian churches. The primary reason for convening the Council of Shirak was a letter to the Armenians received from Patriarch Photius of Constantinople concerning the adoption of chalcedony. Patriarch Photius had repeatedly tried to convert the Armenians living in his territory to Chalcedony and had unleashed persecution against Armenians. Catholicos Zachariah I of Dzak wrote a letter to Patriarch Photius stating that the Armenian faith was in agreement with the decisions of the first three Ecumenical Councils. In his reply letter Patriarch Photius tried to prove the orthodox character of Chalcedony and once again suggested that the Armenians should adopt Chalcedony. The Council of Shirak renounced Patriarch Photius’ suggestion and after stating the faith of the Armenian Church in 15 anathemas, sent the reply to Patriarch Photius. The miracle is attested to by the letter from the Synod of Chalcedon to Pope St. Leo the Great. Letter 98, Chap. 3 in the Letters of Leo. I also made reference to this in the post. The problem that the legend refers to the Eutychians/Monophysites/anti-Chalcedonians submitting a creed. No such submission can be found in the Acts of Chalcedon. Neither does the miracle appear in the acts. Perhaps some minutes are no longer extant. The letter to Pope Leo, though, doesn’t actually describe the miracle. It seems to be referring to St. Euphemia’s intercession, since the council took place at her church. Chalcedon was a very well documented event, and at least a few different copies of the voluminous minutes have come down to us today. There is no indication that the miracle was edited out, and why would it be? And as Isa Almisry says, the Anti-Chalcedonians never submitted a creed. I can’t figure it out. :-) What is the earliest actual description of the miracle? I sense that you’ll probably discount this one, but I believe in this one as well. Thanks for commenting. Or rather, an affirmation of St. Leo’s Tome. Can you please tell us when the term Orthodox was given to the Non-Chalcedonians? You have said only recently but we are very interested to know when and why the term orthodox was given to the non-chalcedonians. For instance why is the alexandiran’s church called orthodox rather than coptic or the Ethiopian church called Orthodox rather than Tewahedo? When did the Ethiopians, The coptics, etc..churches get the name Orthodox? I really look forward to know the answer. Because recently, a news broke out in Ethiopia that the term orthodox was imposed on the Ethiopian Tewahedo church to mix wheat with tares. Thank you for your help. It means a lot to us if someone can tell us why the term orthodox started to be widely used by non chalcedonians. I don’t have the answer to that question. Perhaps you should ask some Ethiopians. I’m shocked that they would be upset at the name “Orthodox”, since it means “right glorying” or “right believing”. The Ethiopian synod refused to answer the question. Some hermits came from the wilderness and said that the prophet Elijah returned to this earth and that he revealed some news to them. One of the things they said he told them was that, Sabbath is Saturday, not Sunday, In Ethiopia, we used to observe two sabbath days. Saturday as the old testament sabbath day and Sunday as the new testament sabbath day. But the hermits came out and said that the prophet Elijah told them that there is only one sabbath and that sabbath day is Saturday. The other thing is about the name orthodox. They said that the name orthodox was imposed on the Ethiopian church to mix the true faith with the false faith. In any case, the hermits were arrested by the police for saying what the prophet Elijah told them. The Ethiopian synod has refused to say anything about sabbath or the name orthodox. So I was wondering if someone from the outside world can point me in the right direction. And also any information on the return of Elijah. Thank you. And by the way, the hermits said that the prophet Elijah has no problem with the meaning of the name Orthodox. The problem is with the religion that is called Orthodox because there is a big difference in beliefs. For instance, the name catholic means universal but if that name some how was imposed on the orthodox church, they would be upset because there is a difference in beliefs. If we really have the same faith, O Monophysites, then confess the faith of St Leo, as we confess as our own the faith of St Cyril. If you will not, then your heresy and hypocrisy remain. For how can you say we have the same faith and not subscribe to our definitions of the faith, when we clearly subscribe to “yours”? The answer is simple: what truth you have does not belong to you by right or by conviction, but by theft and deceit and a warped fundamentalism, as if there were no other father than St Cyril! Anyone who reads the history will see that we repeatedly tried to make every effort to reconcile with them. The Orthodox Church uses Alexandrian, Roman and Antiochian christological terminology because it’s catholic. St. Cyril himself accepted Antiochian terminology as a valid medium for expressing the Mystery. St. Maximus said that each way of speaking was necessary to stay on the royal path. Anti-Chalcedonianism is the foundation on which their confession rises or falls. To accept Chalcedon would negate their tradition, which they received from schismatics like Severos. Not to mention, their theology is monoenergetic and monothelite. Fr. Florovsky compared their one-sided christology to Augustinian soteriology: the divine is over-emphasized. He also warned the Church against practicing an ‘eastern ecumenism’ based solely on St. Cyril to the exclusion of St. Leo. I see no way out of this except for the Orthodox to make Chalcedon a matter of indifference (which is happening due to ignorance and lukewarmness), OR for them to repent (like everyone who joins the Church has to do). Hello, the Church of Georgia! There is a model for unity and rapprochement. Oh yeah! That completely escaped me. Platina has a book on Georgian Saints and it details the struggles that some of them faced against the Monophysites. Regardless of difference in theology, ‘Saint” Leo, “Saint” Justinian, and “Saint” Hercules have so much non-Chalcedonian blood on their hands!! Forget about being patristics now, we are talking about being “Christian”. Faith is not about “theological precision” and as far as “miracles” (which are by standard impossible to validate their authenticity) quoted as a prove of “orthodoxy”, numerous miracles were reported in “heretical” oriental, catholic, and (wait to hear this one) protestant churches!! Despite all their martyrs and history of violent abuse, the non-Chalcedonian “heretics” assuming a more Christ-like attitude are reaching out to their Chalcedonian brethren for reconciliation! Unless the Chalcedonian are actually worshiping their Church Fathers and Mount Athos elders and not Christ and the Holy Trinity! If you are offended, it may give you some peace of mind knowing that among the non-Chalcedonian there are similar zealous like yourself. “Is Christ divided? Was crucified for you? Were you baptized in the name of ?” (1 Corinthians 1:13). Those kinds of attitudes makes one question what “orthodoxy” actually means? Why do I have to believe Leo or Dioscorus? What makes your fathers holier than my fathers? Those kinds of attitude support the Lutheran Doctrine of Sola Sciptura! God bless!! In the minutes of the council of Chalcedon, Ibas was accepted as orthodox upon the reading of his letter and his material is deemed Orthodox. Paschasinus and Lucentius(legates on behalf of Leo of Rome). This same letter conflicts with Ephesus 431. And Chalcedonians restored Theodoret in 451, who by sheer content alone, has written more heretical things than Eutyches. Theodoret denies that “God the Word suffered in the flesh”(which conflicts with the 12 chapters accepted at Ephesus) multiple times http://www.newadvent.org/fathers/27033.htm Theodoret wrote this in 447 and this was the reason he was deposed in 449. In contrast, all we know is rearding the error of Eutyches, was that he failed to affirm dual consubstantiality, that’s what the minutes in Flavian’s synod indicate. Yes he was accused of saying that the humanity was swallowed up by the divinity, but there is no proof of primary writings of him saying or confessing this….just accusations. Based on primary writings Theodoret wrote more heretical content than Eutyches. it also took the Chalcedonians 100 years to condemn the writings of theodoret & ibas. this is the gap between 451-553. Dioscorus condemned the teachings of Eutyches, by condemning those who rejected dual consubstantiality. Severus condemned Eutyches. Eutyches was condemned formally by name in Ephesus 475. Eutyches was condemned again formally when the OO accepted the Henotikon in 482.
the gap between Ephesus 449 & Ephesus 475, is smaller than Chalcedon 451 & Constantinople II 553. No. Cyril united with the 5th century Antiochians based on the formula of reunion. He did not endorse the “in two natures” terminology. “In two natures” isn’t used in the formula of reunion outlined in 433. “of two natures” in 433 has a ambiguous interpretation that doesn’t lend to the exclusivity of “in two natures” used at Chalcedon. So, you can’t take the formula of reunion with the folks in 433 to be a indicator of Cyril’s acceptance of “in two natures” exclusivity at Chalcedon. Why was “of two natures” not used in Chalcedon, if they were truly committed to the terminology that Cyril endorsed in 433? Interpretation aside, Cyril didn’t agree to “in two natures” terminology in 433, and this is why you don’t see “in two natures” outlined in 433.
one-sided christology was demonstrated in Flavian’s synod in 448. This was before 449/451. So it’s clear the one-sided application was applied by the Dyophysites in 448 way before Ephesus 449 took place. Also why the “in two natures” exclusivity at Chalcedon? why not allow “from two natures” as Cryil has used. if Chalcedonians are committed to the terminology of 433, why not use “of two natures” outlined in 433 than? “in two natures” is not outlined in the formula of reunion. The original draft had “from two natures” but the committee at Chalcedon went to great lengths to replace it with “in two natures”? Why would the committee do that? Why would they exclude “from two natures” terminology here? Where is the pressure to replace “from” with “in” coming from? Could it be that theodoret was on the committee & “from” didn’t satisfy Theodoret? “The amending committee was obliged to assert a continuing duality in Christ, but the formula it used to do so – ‘acknowledged in two natures’ (replacing the ‘from two natures’ of the draft) “. The error of Eutyches was failure to affirm dual consubstantiality. confessing “in two natures” or “from two natures” does not preclude this error. so use of “in two natures” exclusivity at Chalcedon was one-sided approach. ‘In respect of the elements from which is the one and only Son and Lord Jesus Christ, as we accept them in thought, we say that two natures have been united, but after the union, when the division into two has now been removed, we believe that the nature of the Son is one’. Dioscorus the most devout bishop of Alexandria said: ‘Clearly Flavian was deposed for this reason, that he spoke of two natures after the union. But I have quotations from the holy fathers Athanasius, Gregory and Cyril saying in numerous passages that one should not speak of two natures after the union but of one incarnate nature of the Word. but terminology aside, the reason that Dioscorus rejected chalcedon was not simply the use of terminiology. One significant reason Dioscorus rejected Chalcedon was due to the restoration of theodoret/ibas in 451. Keep in mind, Dioscorus deposed Theodoret/Ibas at Ephesus 449. Reducing this to terminology is just that. If we confess St. Cyril confession. What was the confession of St. Leo?